Time for another Mischief Meets interview... 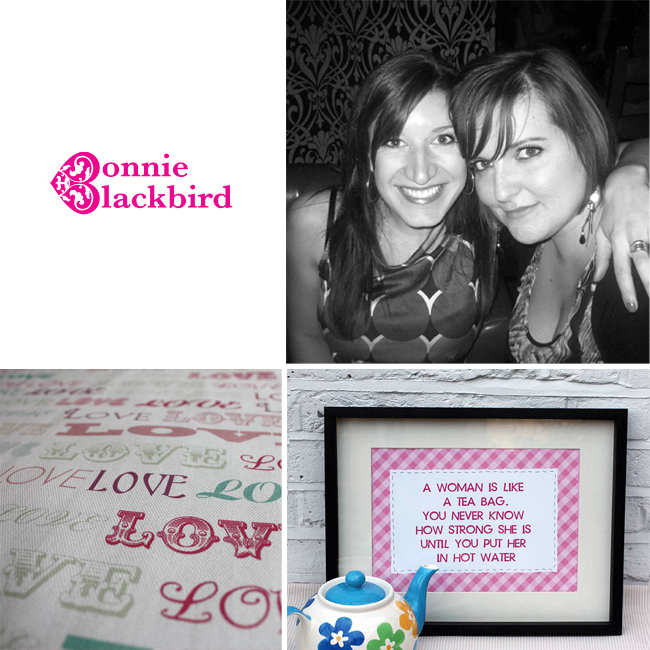 This week I am featuring Bonnie Blackbirds Penny and Sara. I first met Penny as a result of my 'Sew Over It' post, she'd also been to the shop and had seen my post and 'About Me' page on my blog. She too had lost her Mum around the same time as me and she she sent me a lovely message. I'm so glad she did as it seems we have quite a lot in common, we both have an obsession with stationery and pretty things and have since been back to Sew Over It together to do a class. • What is the essence of your business? What do you do? We are a small business run by myself (Penny) and Sara, creating luxury stationery which can be personalised by the customer. Many people would like something a bit more personal than buying packs from big high street chains, so we take the hard work out of it for them and create bright and cheery designs to choose from. They send us the text – we do the rest, the next best thing to having your very own graphic designer, but much cheaper! We have also expanded our range by creating mounted ‘Positive Prints’ for daily motivation and a quaint tea towel collection. • How did you start doing what you do? Have you always been creative? What made you decide to start up on your own? I studied Graphic Design at university and lived with Sara throughout (she studied law). Although I knew I wanted to work in Graphic Design, I just hadn’t found a discipline that got me jumping out of bed in the mornings. I always thought I should work in a big award-winning studio somewhere in the city designing vinyl covers and logo’s for funky cutting-edge brands. I worked at Interbrand for a placement in my second year, which is the world’s largest brand consultancy, and whilst it was a great experience, I knew deep down it wasn’t for me. I currently work in a corporate company in Central London at the moment as a Graphic Designer but it is very limited creatively. I used to talk with my mum on the phone every lunchtime about how I wish I could do something more creative, but just didn’t know what. 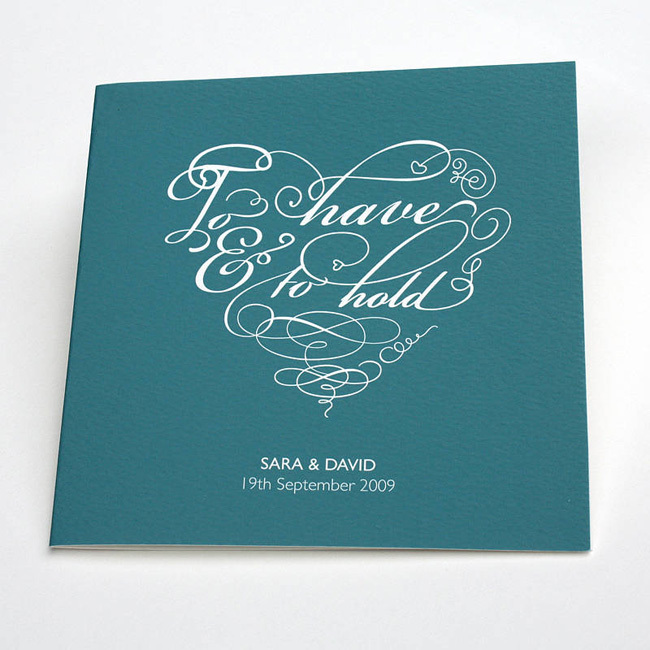 In 2008, a couple of friends (including Sara) asked me to create their wedding stationery. It all just began to click – I’ve always loved stationery, why on earth wasn’t I working with it?! However, even then I was almost too scared to just go for it. In February 2010, my mum passed away completely unexpectedly. The week before, we sat and had breakfast in bed together and spoke about the wedding stationery idea.I very vividly remember her saying ‘Oh Pen, I wish you would just GO FOR IT!’ – and so I did. Sara was completely amazing over that whole time, she set me briefs and deadlines to complete and visited me often to see what I’d done. This was a massive distraction that I needed to move forward, some people find alcohol or drugs – I found stationery! We worked together so well and genuinely enjoyed it so much that it made sense to join forces. Sara works in a law firm full time, so is most definitely the right brain of the team (or is that left? The clever academic one anyway who does all the figures!) That said, we work together to brainstorm product ideas and concepts as well and really bounce off each other. She is also the notebook police – I’m banned from buying anymore! • Where do you work? Describe your studio space. We take it in turns to go to each other’s houses, though we have a studio in my house in Richmond where all the physical designing and making takes place. It’s a spare room in my flat that I share with my boyfriend. He has his golf club, I have my studio! • Do you work with a team? We do everything – printing, scoring, the lot. 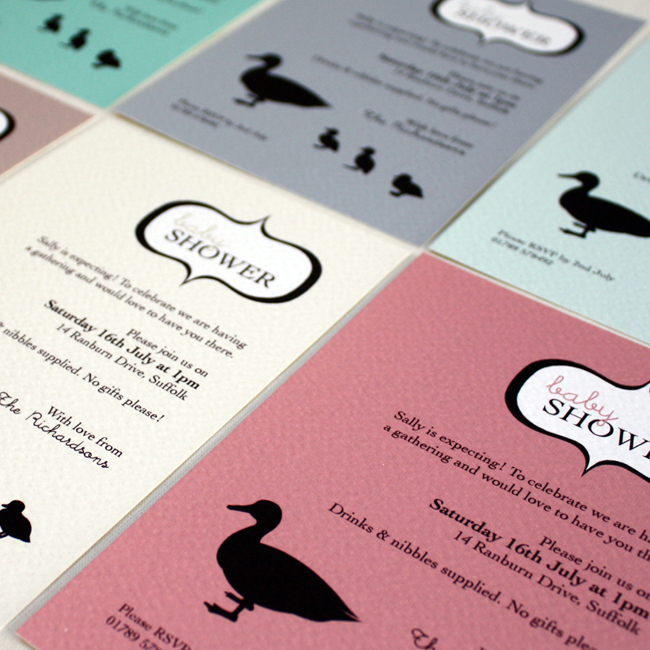 If we have a large order for wedding stationery, sometimes it’s necessary to outsource the printing. My sister is a window dresser and stylist so is never short of a prop or two, which helps with the photography luckily. As we are both in full time jobs, I get up early at 6.30am to do any orders that came in late the night before so I can try and get them posted that day. Then I head to the city for my day job (I won’t bore you with that!). Lunchtime is spent either blog reading or with my notebook, sketching or writing lists of things to do when I get home. During my commute back to Richmond I write blog posts on my iphone, or read any business books that I have recently bought (my current one being ‘Build A Business From Your Kitchen Table’ by Sophie Cornish and Holly Tucker - Highly recommended). As soon as I get home, the laptop is out and I either complete orders we got that day, or work on the new ideas that Sara and I have created over the weekend. I love Sundays because its more time I can spend on BB, doing what I really want to be doing and Sara and I are usually able get together and discuss what each other have done over the week. • What do you find most satisfying about the work you do? I love the fact that I get to finally work on designs that excite me. Finding such great companies to connect with is amazing too - there really are some lovely, lovely people out there in the industry. • Which materials couldn’t you live without? My trusty macbook, I love her a lot. My printer. And good, thick, gorgeous cardstock. • What is your design process? We brainstorm the main theme of the brief, that usually gives us some concepts to work with. We compose a quick moodboard to help give us an idea of colours and style that we want to go with and after initial sketches in the layout pad, I then go on to expand the idea in illustrator. We often change the design or add to it after running a few versions through the printer and seeing how it turns out. I always email it to Sara and she sends feedback to refine it before we both agree on the final product. I actually really like flicking through home magazines to get ideas of how patterns and styles go together. I initially wanted to be an interior designer, so homes and interiors still inspire me. I don’t go a day without checking out stationery blogs, my favourite being ‘Oh So Beautiful Paper’ and I find ‘How About Orange’ a good way to get me all pumped to be creative! I find a walk around Richmond Park or along the river helps to clear the head aswell. • Are there any designers/artists you particularly admire? Oh gosh yes! The one that stands out particularly for me is Caroline Gardner. I love the brightness and simplicity of her designs and how they work on a variety of products, such as her recent launch of scented candles and even dog collars (which I’d love to do one day!). 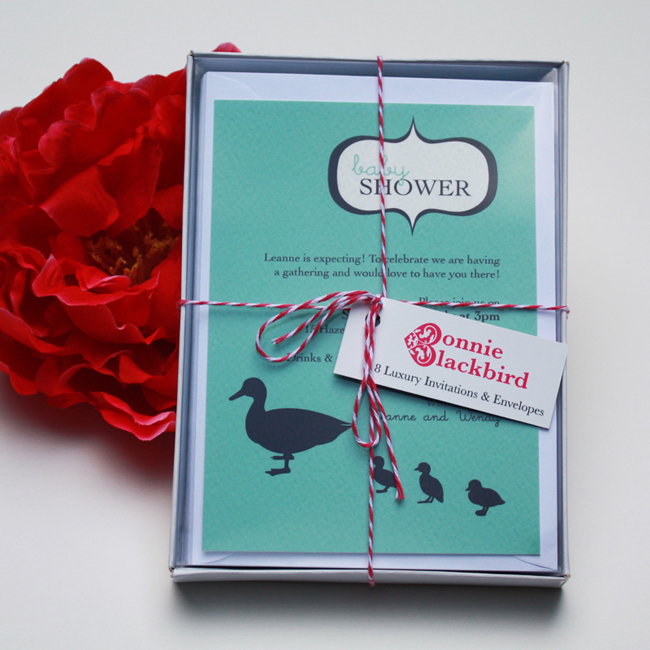 The other for being an incredibly hard worker and seems to be a lovely person is Anna Bond of Rifle Paper Co. Her botanical illustration range is just beautiful. • Which are your favourite blogs? Just Go For It! Don’t just talk about it, start, and see where it takes you. You can’t develop your style until you try things out and see what works for you. But be prepared for it to take over your life! 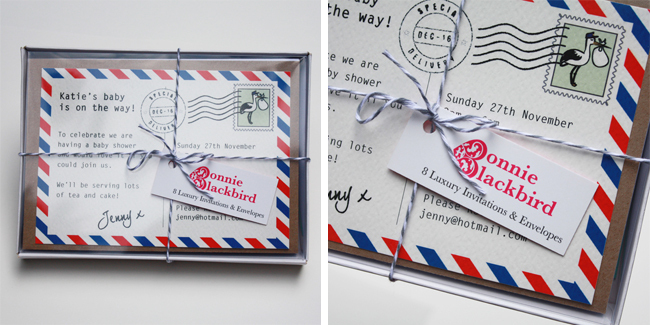 You can see more of Penny & Sara's designs on the Bonnie Blackbird website. They also have a Not On The High Street shop and write a blog here. Thanks girls and good luck with your stationery journey! Thanks Geraldine! I love hearing what makes fellow creatives tick and how they got to where they are. Most motivating! She's back and with One Lovely Blog Award!